The "Disable Canonical URL Redirects" plugin tool is a plugin for WordPress that will allow you to disable canonical URL redirects in WordPress on the fly. Simply install the plugin and activate it to use it, deactivate it to stop using it - it is just that simple! Description: Disables the “Canonical URL Redirect” feature of WordPress (in versions of WordPress 2.3 and greater). To use this plugin, simply activate it. Then, disable this plugin if you need to re-enable the “Canonical URL Redirect” feature of WordPress. Free Black to Transparent to Black Gradient file (.ggr file) for GIMP. This gradient can be used in GIMP to make images that fade to black on the either side of the image. 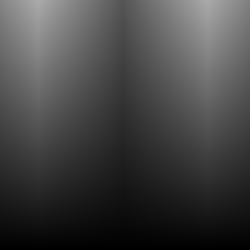 Description: This is a Black to Transparent to Black Gradient file (.ggr file) that can be used with GIMP 2.6 (or higher). This gradient is useful to make images that fade to black on the either side of the image. To install this gradient file in GIMP, download the file, unzip it, and copy the included .ggr file into your '\.gimp-2.8\gradients\' folder. 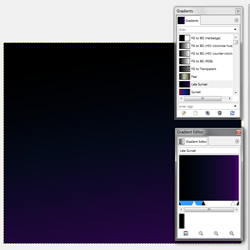 Free Black to Dark Blue Gradient (.ggr) file for GIMP. This gradient is useful for images where you need a matting from Black on the left, to Dark Blue (almost Purple) on the right. 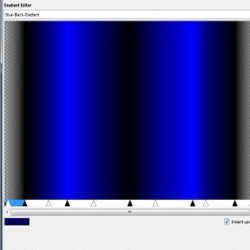 Description: This is a Black to Dark Blue Gradient (.ggr) file for GIMP 2.6 (or higher). This gradient goes from Black on the left to a Dark Blue (almost purple) on the right. To install this gradient file in GIMP, download the file, unzip it, and copy the included .ggr file into your '\.gimp-2.8\gradients\' folder. Free Black and Blue Gradient file (.ggr file) for GIMP. This gradient is useful for images where you need a matting from Black on the left, to Blue on the right. Description: This is a Black and Blue Gradient (.ggr) file for GIMP 2.6 (or higher). This gradient goes from Black on the left to the normal Blue on the right. To install this gradient file in GIMP, download the file, unzip it, and copy the included .ggr file into your '\.gimp-2.8\gradients\' folder.